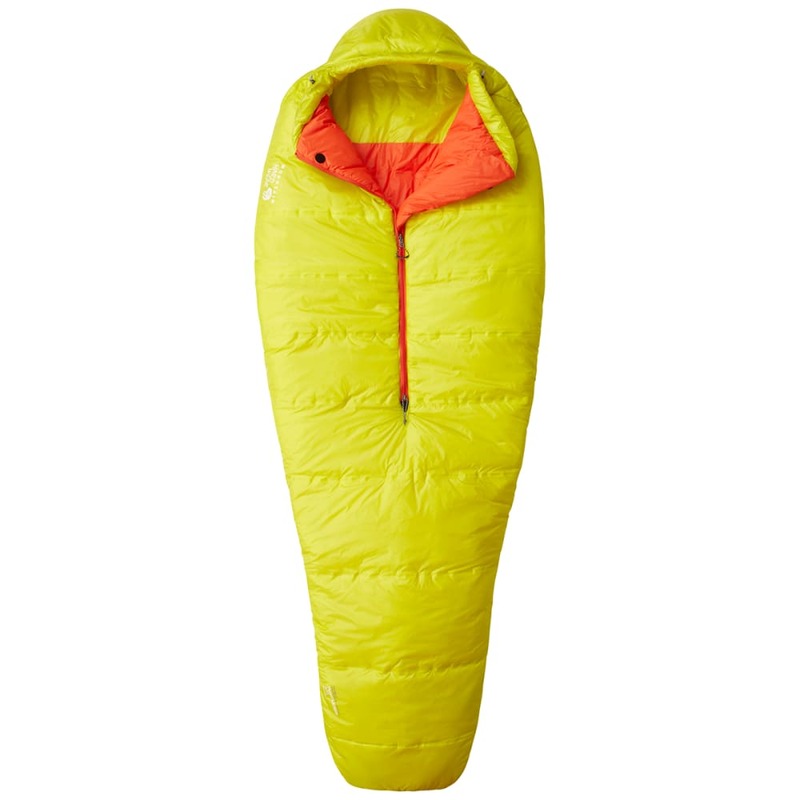 Thermally mapped insulation and a half-length center zip maximize efficiency. Engineered to be one of the lightest and warmest synthetic bag on the market, Lamina™ construction welds the Thermal.Q® insulation to the shell and lining, eliminating the cold spots caused by traditional stitching. By mapping different insulation weights throughout the top of the bag, warmth is concentrated where you need it most – around your core and feet. Thermal efficiency is then optimized by a performance mummy-cut, face gasket, and single center half-zip. Bag Stuffed Size: 6 in. x 13 in. Max. User Height: 84 in. Fill Weight: 1 lb., 4 oz. Stuff Sack Size: 6 x 13 in.